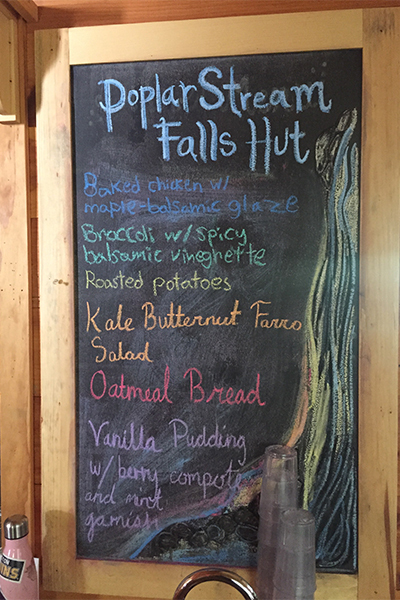 Poplar Stream Falls is located in Carrabassett Valley, a town famous for Sugarloaf Mountain Resort, one of the largest ski resorts in the East. 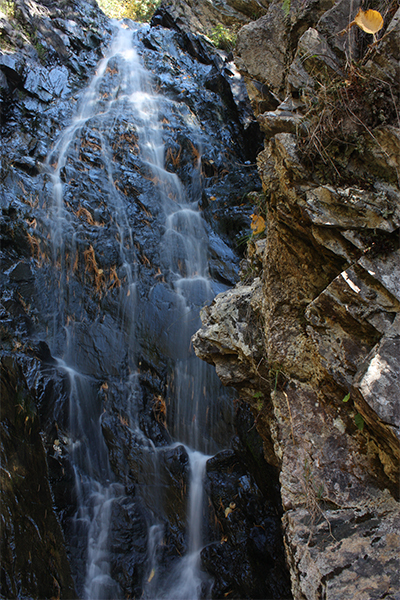 The falls lie a few miles east of resort, accessible by a long and enjoyable hike. 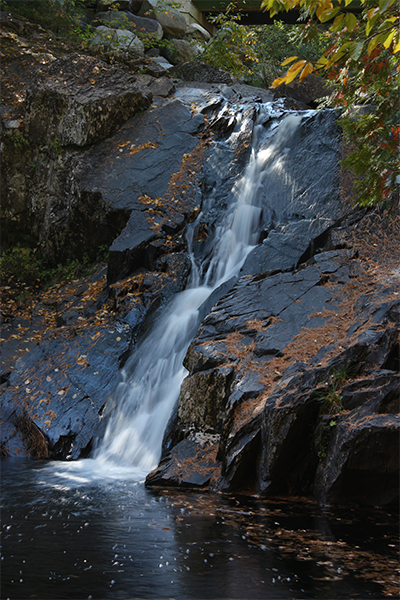 The falls can be accessed by hiking in summer or with cross-country skis or snowshoes in winter. There are two drops here, each from a different water source. 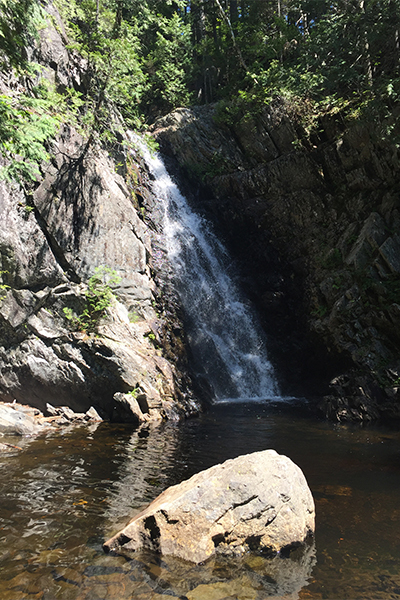 One set of falls, a 24-foot horsetail with a swimming pool below, is on Poplar Stream, just below a bridge on a private dirt road owned by the Penobscot Indian Nation. The other waterfall is a 51-foot horsetail on South Brook. 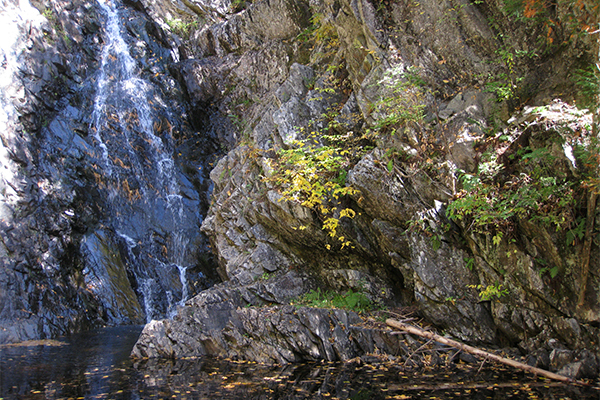 This falls fans beautifully down a steep rock face into a wide sunny pool. These two streams merge 0.1 mile downstream of each of the falls. 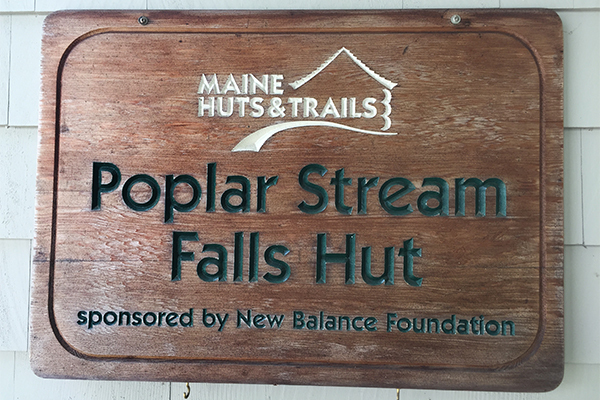 Once difficult to find, these falls are now easily accessible due to the construction of the beautiful Poplar Hut and its related trail network. 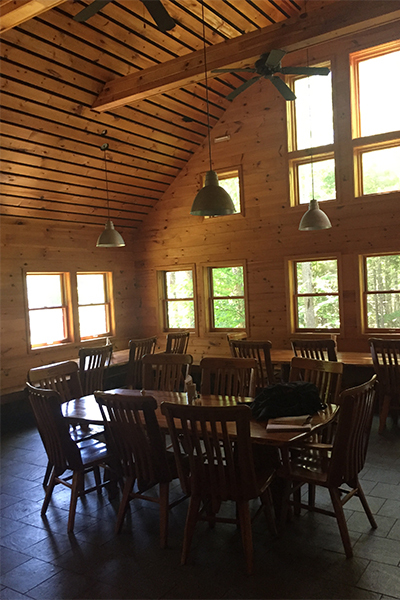 This welcoming hut, which offers backcountry accommodations, hot meals, and hot showers year-round, is part of the grand vision of the Maine Huts and Trails organization. 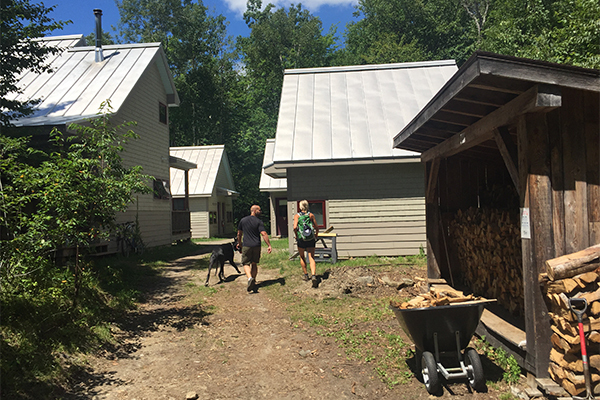 They hope to create a system of 12 rustic but comfortable backcountry huts stretching across 180-miles of trail from Bethel to Moosehead Lake. 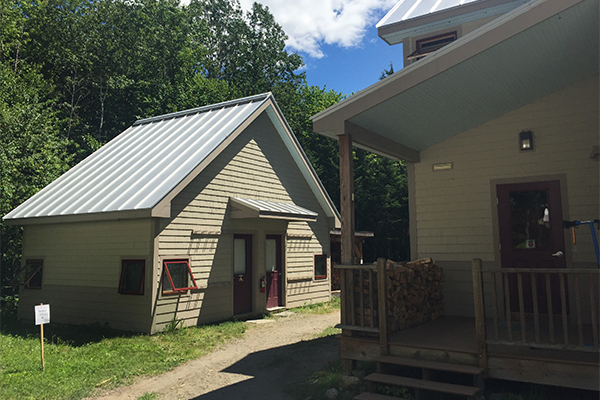 Four huts are already in service as of 2017.